Home › What’s the Buzz? What’s the Buzz? is an evidenced-based social and emotional skills program that encourages children to think about how to get along with others and explore the benefits of developing new social skills. Our clinical team have been personally trained by the developers of this world-renowned program; Mark Le Messurier and Madhavi Nawana Parker (What’s the Buzz? : A Social Skills Enrichment Program for Primary Students, 2011, London: Routledge). Your role is invaluable and we welcome your communication. So that you know what your child experiences in each lesson, notes will be sent home every week. 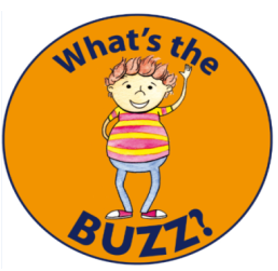 The notes include a copy of the lesson itself and a section called, After the Buzz: Social Thinking Ideas for Parents. It offers useful advice that can be gently placed into practice at home to add value to what your child is learning. The total fee for the 16-week program across 2 school terms is $1530. The team at Little Ears & Little Speech understand that each family’s circumstances are different and therefore offer several payment options. You may also use NDIS funding should your child meet eligibility for supports (NDIS fee schedule applies). Please do not hesitate to contact our friendly team for further information on (08) 8120 2110.